Economics of Information: Is Adobe’s Flash Platform one step closer to the iPhone? 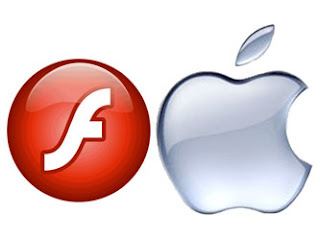 Is Adobe’s Flash Platform one step closer to the iPhone? Apple recently reversed its earlier decision to restrict third-party developer tools to be used to build iPhone applications. Now, software developers can use Adobe’s Packager for the iPhone, which helps software developers transform Flash applications to the iPhone format. It is interesting to note that while software developers can now use the Adobe Packager, they are still restricted from delivering pure Flash applications for the iPhone. Why is Apple restricting the Flash Platform from the iPhone? Is this decision technical, political, or just business? 1) Adobe has a great deal of power on the Internet, thanks to Flash, Acrobat, Web development tools, etc. Apple would not want that power to migrate over to its platform -- it wants control. 2) There is a limited supply of developers, and Apple wants more of them focused on its current and future products -- and not considering rival platforms. Allowing pure Flash apps does nothing for attracting new developers to the iPhone platform, but by encouraging Flash developers to take baby steps toward creating transformed apps on iOS, at least some of the Flash devs will at least get their feet wet and see the possibilities with the Apple platform ... and maybe keep them from going to Android. Flash already has succeeded in reaching critical mass to control anything in their areas but at the same time, T think that they are too arrogant to fix some problems according to Steve Jobs. Here is his thought why he didn't accept flash.